What will help stop the slaughter of our rhinos? Several desperate efforts to present solutions to rhino poaching are currently being explored. Brutal rhino poaching methods have escalated in South Africa, which is currently home to about 70 per cent of the remaining rhinos in the world. How do we stop this slaughter? 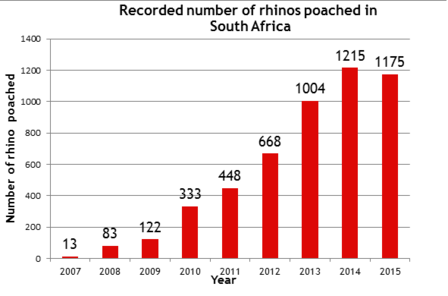 The great rhino population conservation gains of the last two decades will be wiped soon at this pace! Where does this problem start? CITES has identified Vietnam as an important destination for illegal rhino horn products. China and Thailand have been identified as the two biggest consumers of ivory in the world. Increasing wealth in Asia is accelerating the horn trade’s growth at the moment. Scientific evidence shows that rhino horn has no medicinal value. Traditional Chinese Medicine (TCM) in fact supports the importance of being in balance with nature. TCM states that this balance affects our health and well being. Lixin Huang, President of the American College of Traditional Chinese Medicine (ACTCM) and President of Council of Colleges of Acupuncture and Oriental Medicine (CCAOM), has stated that rhino horn has no place in Traditional Chinese Medicine. The CCAOM represents fifty-two acupuncture and Oriental medicine colleges across the United States. This issue has never been more visible with many opinions flying around. 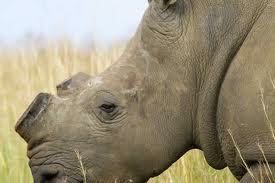 The suggestion here is that surely by simply removing the horn - the rhinos should be worthless to poachers. However unfortunately it seems the solution is not that simple. Why do rhinos need horns? Namibia was the first country to try dehorning. Between 1989 and the early 1990s, dehorning in addition to improved security and funding of anti-poaching efforts resulted in a significant reduction in rhino losses. In this case study not a single dehorned rhino was subsequently poached. Emerging question: so is this the way to go? In Hwange National Park, Zimbabwe during the early 1990s, the majority of dehorned rhinos were killed just 12-18 months after being dehorned. Poachers seem to continue poaching hornless rhinos. This is attributed to the stub of horn that is left after removal. If the horn is cut too short during the dehorning exercise, it could lead to deformed horn re-growth so that during the dehorning exercise a stub of horn is left in tact. 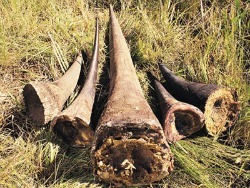 The brutal facts are that poachers will still kill for a horn stub due to its high value. Some experts also think that poachers may also kill dehorned rhinos out of vengeance or to avoid tracking them again. 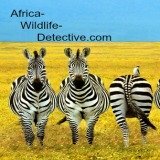 It is also believed that if the rhino is located in thick bush - the poachers may not be able to see if the rhino has a horn before shooting it anyway. This is certainly one area where opinions are divided and exchanges get heated. Let's have a look at some of the main arguments on both sides. One of the main challenges here are that nobody can predict how legalizing trade will affect the behavior of the end users in Asia. Will more Vietnamese or Chinese buy rhino horn products once the stigma of buying illegal products is removed? How will the increasing affluence in Asian countries affect the demand for rhino horn? Many conservation groups have expressed concern over the concept of legalizing the rhino horn trade. One key issue regarding this solution to rhino poaching will be to understand how the trade in rhino horn will be regulated. History shows that occasional sales of elephant ivory have not reduced poaching for ivory. One of the main reasons for their opposition is that they don’t think it will be enforceable. This is because markets where the trade would be active like in Vietnam simply do not have the necessary enforcement regimes in place. This debate is growing in intensity and also becoming more polarized between the pro- and against factions. The Chinese beliefs were reflected in an interview conducted with a retired Traditional Chinese Medicine practitioner. According to this practitioner, rhino horn is used as an emergency medicine used especially for very young children.
" A tiny bit of powder is mixed with other herbs and gypsum to save a life and lower temperature". He claimed that the Chinese people were not concerned with the death and suffering of the animal if it could save the child. He also stated that many things could be used instead of rhino horn including a range of herbs and roots. 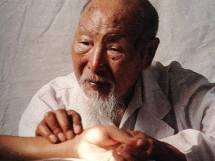 Younger Chinese people use western medicine, but older Chinese people simply don't trust what western people claims, and would rather stick to their traditional beliefs. Injecting non-lethal poison into the rhinos’ horns. 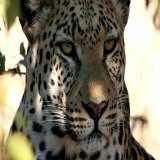 Deploying the South African National Defense Force in key positions across South Africa to provide protection to rhinos. Establishing a database of all rhino horn DNA samples. Erecting an electric fence between Kruger National Park and Mozambique. Establish environmental courts to improve the rate of successful prosecution of couriers, and buyers. 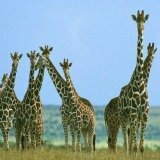 Taiwanese millionaires are well known for their consumption of rare and exotic wildlife and believe that animals exist primarily for exploitation. The demand is increasing and wealthy Taiwanese being aware that prices are likely to increase even more as the rhino numbers decline. These buyers are now buying it as part of an investment strategy. Dehorning rhinos on it own will not work, just like increased anti-poaching patrols on it own will not work. 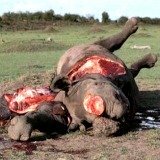 Some of the suggested solutions to rhino poaching like legalizing the trade in rhino horn presents more questions than answers at this point. It is clear that only a combination of approaches would need to be considered. If you have an opinion on this matter please leave us a comment below.